Once obesity sets in because of over eating, suddenly one day the thought of getting back in shape becomes strong. Although a strict regimen of reducing food quantity gradually and exercising is sure to bring results, there are some instances where this doesn’t work. For them, surgical methods are available now. Bariatric surgery promotes weight loss by changing the digestive system's anatomy, limiting the amount of food that can be eaten and digested. This helps a person with extreme obesity lose weight. Only after they have tried other methods of losing weight will they be candidates for bariatric surgery, which today is considered a "last resort" for weight loss. It is an option for people who have a body mass index (BMI) above 40, and for people with a body mass index between 35 and 40 who have health problems like type 2 diabetes or heart disease. The basic principle of bariatric surgery is to restrict food intake and decrease the absorption of food in the stomach and intestines. It alters or interrupts the digestion process so that food is not broken down and absorbed in the usual way. A reduction in the amount of nutrients and calories absorbed enables patients to lose weight and decrease their risk for obesity-related health risks or disorders. There are three main bariatric surgery procedures that are widely used. These are gastric bypass, gastric banding and sleeve gastrectomy. Gastric bypass is the most commonly used bariatric procedure worldwide. The procedure involves re-routing the digestive system past the stomach in order to promote satiety and suppress hunger. The gastric band procedure involves having an inflatable band placed around the top portion of the stomach. This creates a smaller stomach pouch, meaning eating less will make a person feel full and satisfy their hunger. With a sleeve gastrectomy, around 80% of the stomach is removed to create a smaller stomach pouch. This reduces the amount of food that can be consumed. Recovery time from these procedures varies from patient to patient. But it could take months for a patient to resume their normal daily activities following surgery, and many will have to follow a liquid diet and introduce normal foods slowly. This surgery can lead to long-term vitamin and mineral deficiencies, and patients must have lifelong supplementation as a result. 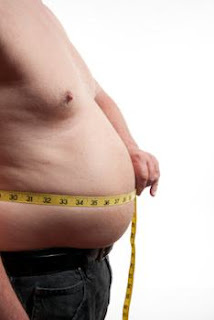 Studies have also suggested that bariatric surgery may increase the risk of other health conditions. It is generally believed that 80% of people who undergo weight loss surgery will experience weight gain of 10-30 pounds depending upon initial weight loss. It is further believed that 20% of those will relapse to their former weight and possibly gain more as the disease of morbid obesity advances. Remember, the stomach muscles are elastic. You ingest more food, it can enlarge again. Considering all these factors, the saying ‘Prevention is better than cure’ is truer in this context than in any other. So, what are you waiting for? Take a good look at the food on your plate. Do you really need to eat that much?